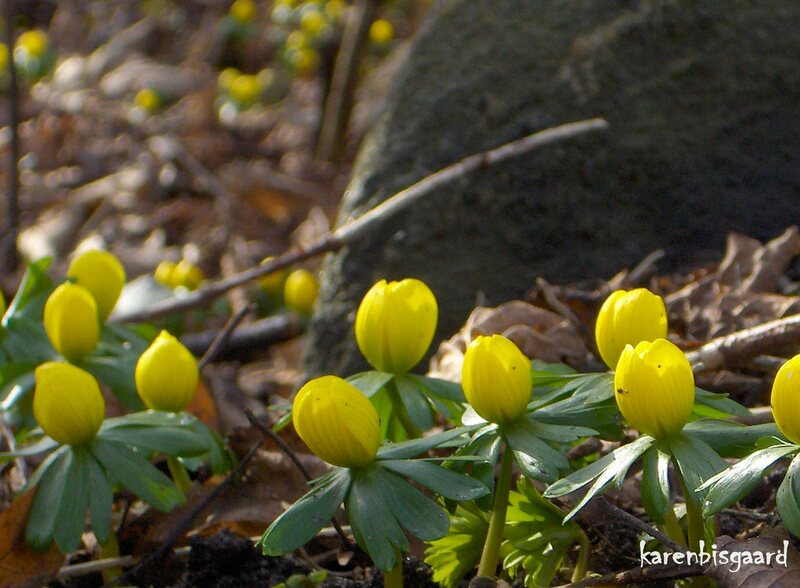 Karen`s Nature Photography: Winter Aconite in front of Big Stone. Winter Aconite in front of Big Stone. Cat Blending in with Tree Trunks. Tiny Leaves Covered in Hoarfrost. Winter Aconite Against Green Wire Fence. Eranthis Covering Fallen Tree Trunk. First Bellis Perennis Means Spring. Icy Pattern in Green Grass. Small Cluster of Eranthis in Full Bloom. Spring Snowflake Blooming in Garden. Morning Icy Straw and Plants.